Just as one would see an optometrist for problems with vision or an oncologist for treating cancer, so it is the same with traditional healers. I was invited by Xolani Zwane, a friend and a traditional healer, to his wife’s homecoming ceremony, after which, she would be integrated in to her Zulu culture as a fully recognised traditional healer. Although I had seen a few tourist-orientated shows of Zulu dancing, had had some exposure to rural African life and attended a number of festivities, I had never witnessed a private traditional ceremony. As such, I felt exceptionally honoured as a white person to be invited to this sacred occasion. I watched enthralled by the processes, but was saddened that I was totally ignorant of the traditions and the significance of the events taking place throughout the ceremony. The event was a blaze of colour, traditional dress, observances of cultural customs and practices, dancing, celebrations, acknowledgements and respect of and deference to their ancestors and elders, all set against the throbbing rhythmic beating of African drums. The initiation ended with the pulse-stirring thumping and stomping of Zulu warriors, women and children all dancing to a primeval beat. Attired in traditional dress, including their shields, spears, skins, intricate beadwork and musical anklets, it was a most impressive and fitting end to the homecoming ceremony. To many who still view Africa as a ‘Dark Continent’, traditional healing is dismissed as a form of witchcraft which is steeped in superstition and performed and supported by ignorant people who have not evolved as a civilization. Viewed by sceptics as barbaric, scorned as satanic or considered an evil practice, it is little understood in the so-called enlightened age. Instead, today people are willing to flock to faith healers and charismatic outreaches that promise to heal the sick and perform miracles that will make the blind to see, the deaf to hear and the lame to walk. Whilst traditional healers can cure health problems, they do not profess to perform any miracles.Traditional healing has been around since the start of mankind and is practiced in various forms across Africa. Its rituals and customs have remained unchanged throughout the centuries. In other countries, it can be likened to many ancient practices still in use today, such as acupuncture, homeopathy, reflexology and Zen meditation. Xolani (49) explains what traditional healing really is and what it is not. 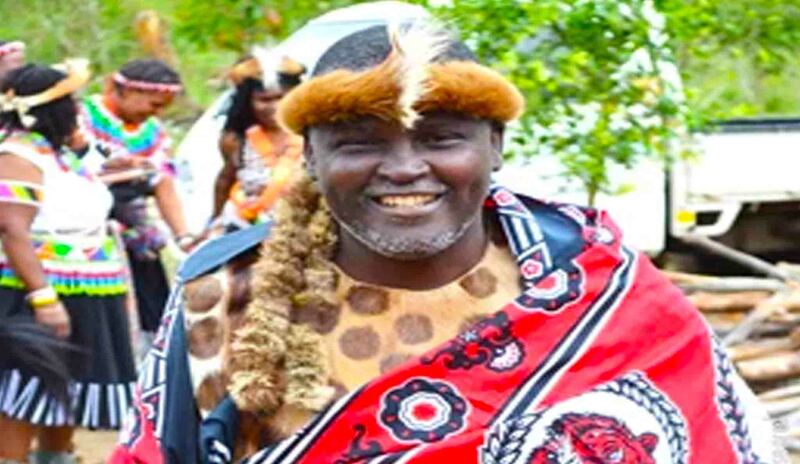 Born at Ntumeni, Eshowe, a town in the province of KwaZulu-Natal, South Africa, he became a traditional healer (also known as a sangoma) in 1989. Prior to that, Xolani was studying at the University of Zululand towards his BPed, a teaching degree, with biology as his major. He received a visitation from his deceased grandmother who had raised him since a small child after his mother had abandoned him. 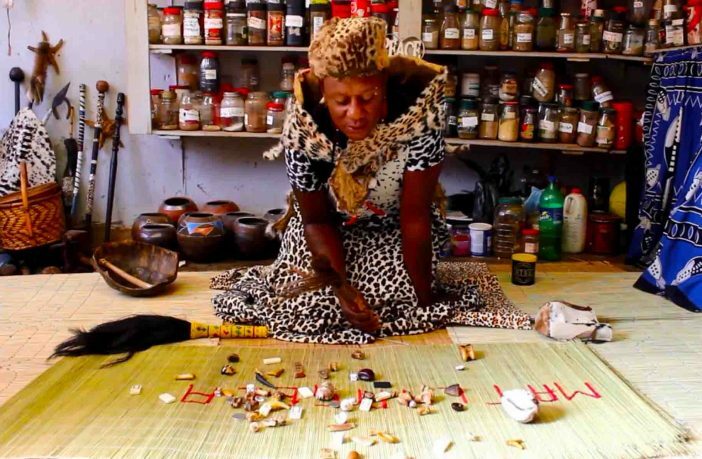 During her lifetime, his grandmother had been called to be a traditional healer, but had been supressed and was not allowed to follow her calling. 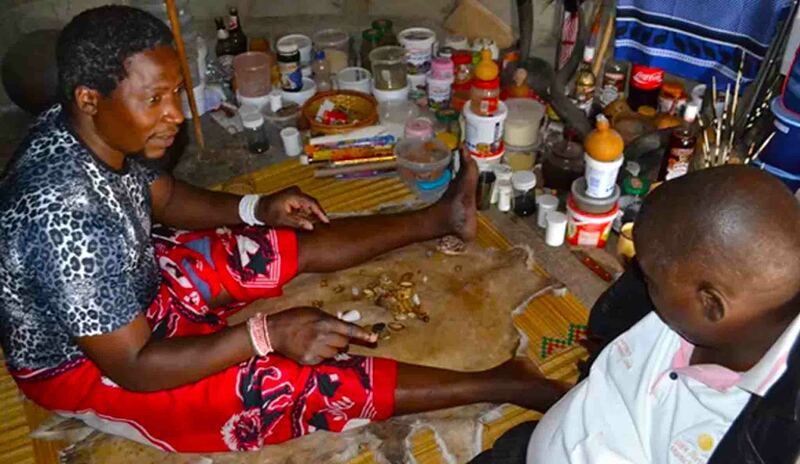 Traditional healer, Sipho Mbuyazi, who is related to the Chief (Inkosi) of the Mbuyazi tribal authority, studies the bones and awaits to receive wisdom and guidance from his ancestor to help a client. There is no formal training prior to becoming a traditional healer because the ancestors do all the actual work and channel their energy and wisdom through the healer. Whilst some practices vary between different cultures, the one focused on here is the traditional Zulu processes and rituals that an initiate will perform and undergo. Firstly, an initiate will apply a red mud over their entire body, which symbolises the rising of the ancestor’s spirit and the spirit’s fusion with the initiate’s life. He or she will also walk barefoot to connect with the risen ancestor’s spirit. Xolani Zwane in traditional dress. Approximately a month later, a goat is slaughtered to introduce the initiate to the spiritual land, known as Umqwambo. Another two goats are slaughtered shortly after this to signify the rising of the ancestral spirit and that this spirit will rise free of any previous problems. The red mud is then washed off and the initiate must drink the blood of the goat to bring the spirit alive in him or her. After this ceremony, another goat and a cow are slaughtered during the homecoming ceremony. This ceremony acknowledges and celebrates the homecoming of the ancestral spirit and the emergence of the initiate in to a fully practicing traditional healer. The homecoming celebration takes on the form of a very festive event amid the ancestors, family, elders and community members.Xolani notes, “African herbs do an equal, if not better job than over-the-counter drugs, prescription medication. In fact, they treat the cause of the problem at its root and not only treat the symptoms. 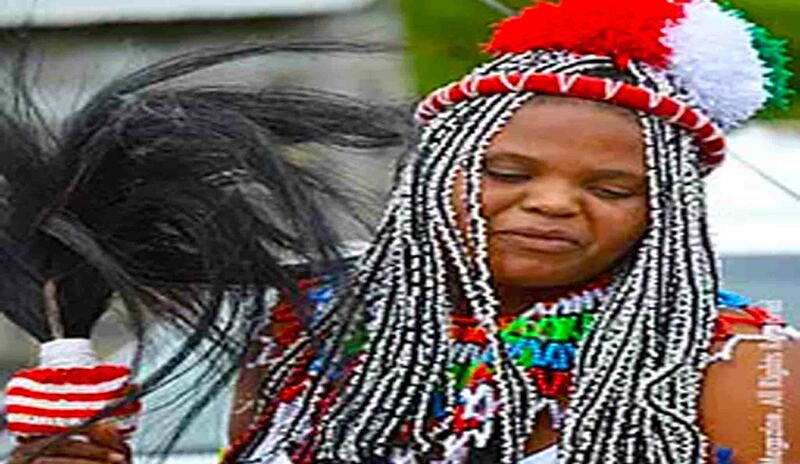 Phumzile Zwane undergoing her homecoming ceremony as a traditional healer. Many think that traditional healing is an African-only cultural practice and as such, merely applies to black people. This is simply not the case – traditional healers are white, Indian, coloured and even foreigners. One such example was the white German lady who was in training with me as an initiate. And clients themselves come from all ethnicities and walks of life. I think it fair to say that 95% of blacks use our services and remedies (known in Zulu as muti); of which 50% use them openly whilst the remainder try to hide their use for various reasons. Some of these include the perceptions about traditional healing being a satanic practice and as such, is against their religion or church’s beliefs. Others prefer to keep it concealed because of their race or our traditional healing therapies being at odds with their culture or system of beliefs. These are just some of the more common challenges. Many think that traditional healing is an African-only cultural practice and as such, merely applies to black people. This is simply not the case – traditional healers are white, Indian, coloured and even foreigners. One of the biggest, however, is an expectation of being instantly healed or cured, even though most patients do not expect such results from an ordinary medical practitioner or specialist. 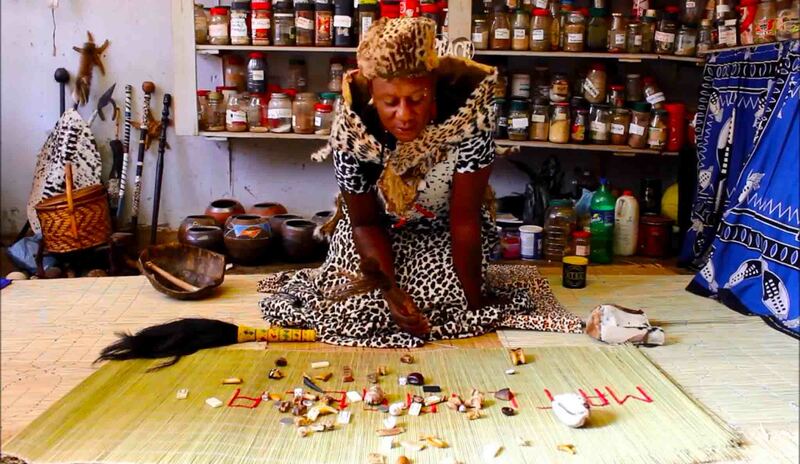 Yes, traditional healers do, and can work wonders, but we are not miracle workers! Another challenge is the irregular income. A healer may have a large number of clients one week, but only one, two or even none the next, so finances are never assured because they constantly fluctuate. My answer to this is to encourage all traditional healers to use their other talents to support their calling. If they are a bricklayer, build houses, if an electrician, install plugs and power points. I, for example, am a proud Zulu traditionalist and am busy producing a documentary on the cultures and challenges facing the Zulu nation as a whole. As the modern world and its advancing technology continues to take hold, the Zulu culture itself is under attack – not because our customs and rituals are in question, but because the younger members of our culture are turning their backs on our ancient Zulu traditions.These days, many want to rather embrace the 21st century and a Westernised way of life. Once this documentary is complete, I hope to be able to use the subsequent exposure to highlight the importance of staying true to one’s roots, encourage our younger generation to think twice before moving away from and abandoning their rich Zulu heritage and to engender a better understanding of our customs and traditions that are all steeped in origins so ancient that they date back to the beginning of mankind.”Xolani has almost completed the additional surgery he is constructing for his wife, Phumzile, to practice from. The couple live with six sons on their family land in Nzalabantu in Mbonambi, which is in the Zululand region of KwaZulu-Natal’s province.